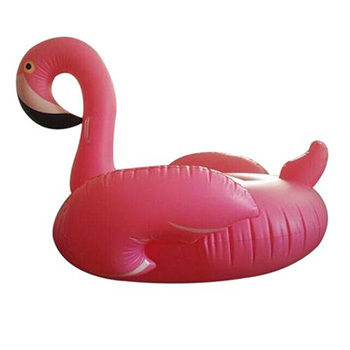 Add a pop of magic to your summer with one of our huge Swan and flamingo water floats! Measuring in at over 6’ with a weight capacity up to 400lbs, it’s great for kids and adults alike, letting you lounge, play or race with your friends at the pool or beach. Our giant pool floats couldn’t be easier to inflate! Just set a hair dryer to cold and your toy will be ready in under 5 minutes. You can also use a standard pump for versatile convenience. You’ll spend less time blowing it up and more time in the pool! Heading to the lake, beach or a friend’s house? Don’t leave your inflatable raft behind! Each one features a quick release valve that deflates your float in only 3 minutes. You can pack it in the car for go-anywhere fun or easily store it at the end of the summer. 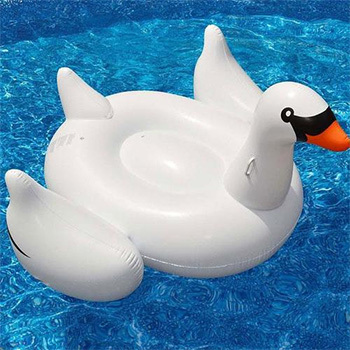 Made of thick, phthalate-free PVC and featuring ergonomic handles, our inflatable pool toys are durable and long lasting – Thicker than our competition! Their vibrant colors and smooth matte finish make them a must-have for every backyard. It’s a swim time good time!